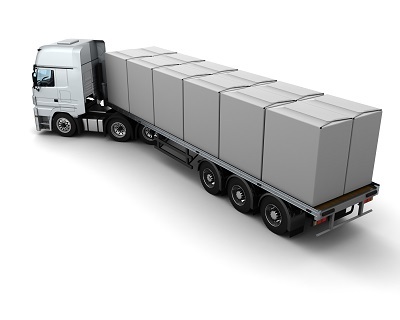 Flatbed Shipping is the transportation of cargo that does not fit or utilizes standard truck trailers, which is oversize in dimensions or which cannot be transported in a closed trailer environment. A flatbed’s structure allows forklifts and cranes to load cargo from any direction. Since there is no restriction of physical walls in a flatbed trailer, flatbed shipping provides incredible dimensional flexibility for any size or shape cargo. Where other truck trailers can only be loaded from the rear, flatbed trucks can be loaded from any angle from the side or back as well as top also. This versatility makes loading and unloading easier. Cargo transported via a flatbed trailer is more secure. Since these loads are in open, transporters use traps, chains, and coil racks to reduce the chances of freight from shifting during its transportation. If cargo transported inside a regular truck trailer comes loose surely goods can be damaged or in worst case scenario future business is lost. But if something falls off a flatbed trailer, it could lead to some serious injury. That’s why there isn’t room in flatbed shipping. Security on the road is always easier for the cargo with a regular trailer to prevent theft due to its enclosed environment. Flatbed truckers cannot park their trailers casually in certain areas to take a break.